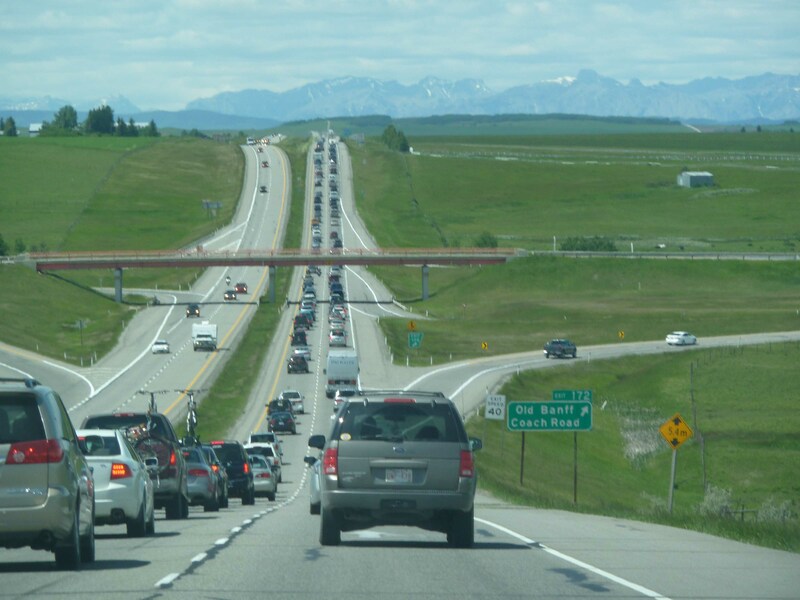 This is the highway, leaving Calgary, heading toward Banff on any given weekend in the summer (in the winter, the cars will have skis on the roof). Banff is one of the nicest places in the world and I can understand why so many people would want to visit there. It’s beautiful, quaint and easily one of the 500 places you have to see before you die. It’s not, however, the only place to find nature around Calgary. Nature is everywhere – I think I’ve mentioned this before. In Calgary, there is even a Provincial Park right in the middle of the city (Fish Creek Park) – a major place to find nature while staying on a bus route.